My new online gift shop is now open! I’m super excited that Little Moose is now open – I hope you are too! Little Moose will be home to some of the cutest gifts and accessories around and is where you can also buy some of my own creations. There are so many cute and quirky products out there and I hope to fill Little Moose with as many of these as possible. I’m always discovering new designers and falling in love with there products and so am thrilled to be able to sell some of these brands in the shop. Some of these brands include Made by White, Depeapa and Crowded teeth. 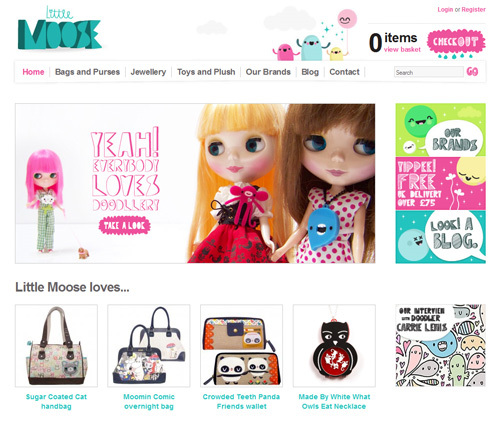 Pop on to Little Moose and have a look!